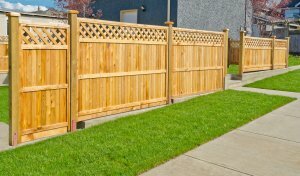 As leaders in the fencing industry, we at Reliable Fence & Construction	understand the crucial roles fences can play throughout various types	of properties. If your fencing or gate is broken and needs repairs, our	experienced team can help! We have more than 80 years of combined expertise	regarding various types of fencing projects, including repairs. Our skilled	craftsmen are ready to provide you with the best customer service and	fencing / gate repair services available in the Portland area! For those who need emergency repairs, we offer site security, fast gate	/ fence replacement, and / or fence / gate repairs. No matter what type	of fence or gate you have, we can repair it in a timely manner. If necessary,	we can supply estimates for your insurance company. It is our job to make	your life easier by providing exceptional, professional, and affordable	fencing services. Our Portland commercial and residential fencing company	offers free estimates, so	contact us at (503) 669-8148 for Eastside or (503) 252-5599 for Westside today!